As prime minister of Britain, Churchill had ordered the preparation of an imperial strategy with the intention of balkanising India and tightening Britains post-war hold over her. The strategy envisaged two Pakistans, one in the west and the other in the east, both large in size at Indias expense: the west to include the non-Muslim east Punjab; the east, the whole of Bengal (despite Hindus comprising almost half the population), and the predominantly Hindu Assam. Within her borders, India was to be balkanised with the creation of independent confederations of princely states. Attlees policy statement of 20 February 1947 was to implement the same, and Mountbatten was given the mandate to transfer power and quit India by June 1948, a date that was advanced to August 1947. However, Churchills imperial strategy was foiled by Patel. He stood in the way of transfer of power, unless Punjab and Bengal were divided. Fearing the loss of Congress cooperation, Mountbatten was forced to reach an agreement with Patel. Patels most significant gain was that Britain would not interfere in the settlement with the princes. This enabled Patel to integrate over 560 princely states in a period of about18 months and helped him to create a united India. 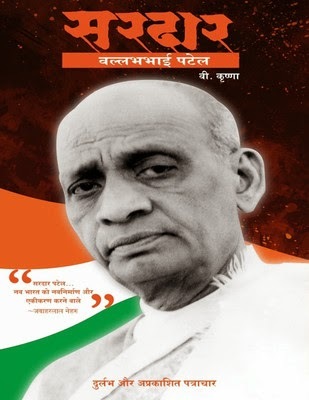 This book examines the extraordinary contribution of Sardar Patel, from his unflinching support to Gandhis satyagrahas and the Indian freedom struggle, to his farsighted and courageous approach in building a strong, integrated India.